Food is love—there's no denying it. The urge to feed those important to us is almost overwhelming for people who cook. Food can say "I love you" as clearly as the actual words—sometimes even clearer, because while the word "love" is thrown around a lot, no one spends three hours braising a veal shank for someone they only kind of like. Simpler foods can accomplish the same purpose, such as the buttered noodles your mom only makes when you're sick. A pint of Ben and Jerry's shared with a friend after a breakup can show her that all is not lost—even if that guy was a jerk, her friends still love her, and that counts for something. Cooking can be less about loving the person you're feeding and more about making that person love you. Buttered noodles can say "I love you," but they almost never say "please love me back." "Please-love-me" and "I-love-you" food can be the same. Several batches of brownies have come out of my oven emblazoned with those invisible messages, but obviously those were brownies on a mission with a specific destination. More often than not, "please-love-me" food is fussier, more complex, designed to impress rather than nourish or comfort. Apple pie says "I love you"; tarte tatin says "please love me." Feeding someone you want to like you is a delicate balancing act, especially when you don't know the specific tastes of the person involved. Should you use nuts? Are strong flavors a no-no? Is ethnic food off the table, even if chicken curry is the best dish in your repertoire? What if the person is a raw-food vegan and you've spent hours slaving over a rack of lamb? Relax. If the person in question has dietary restrictions, the burden is on that person to tell you when you issue the invitation. Unless told otherwise, assume you're clear to char as much meat as you like or inundate that stir-fry with your signature peanut sauce. Keep the words "simple" and "stunning" in mind as you search for something to make. Anything too complex comes off a little desperate, and you want your meal to have an air of casual elegance to it that suggests pulling together the best food this person has ever tasted is as easy for you as breathing. For winter, something like the lamb ragout from my January column would be perfect. The sweet pea risotto from my March column would work for this time of year, but vegetarian dishes don't always pack the punch you're looking for in a meal destined to impress. Salmon or trout is the perfect choice for a summer meal. On a normal day, salmon is perfect with a heavy dose of salt, pepper, dill and parsley and thrown on the grill or under the broiler. But an Asian-inspired glaze and a kick of fresh ginger turn the humble fish from an "I-love-you" meal to a "love-me" meal, sure to impress anyone lucky enough to enjoy it. Heat broiler. In a small bowl, combine the honey and 1 teaspoon of the soy sauce. Place the salmon on a foil-lined broiler-proof baking sheet and season to taste with salt and pepper. Broil for 5 minutes. Drizzle the honey mixture over the salmon and broil until the salmon is opaque throughout, 2 to 5 minutes more. Meanwhile, heat the oil in a large skillet over medium-high heat. Add the bell pepper and sauté, tossing occasionally, until just tender, 3 to 4 minutes; stir in the ginger. Add the spinach and ½ teaspoon salt and cook, tossing, until just wilted, 2 to 3 minutes. Add the remaining 2 teaspoons of soy sauce. Serve with the salmon and sprinkle with the sesame seeds. 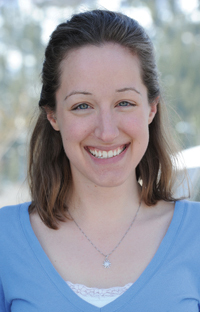 Katherine Wutz is a reporter for the Idaho Mountain Express.